The grocer’s shares fell 9 pct after an analyst flagged its related party deals. A sinking price may force its indebted parent to pledge stock to repay bonds, which could end up on the market. Investors have more to worry about than a grim outlook for French supermarkets. 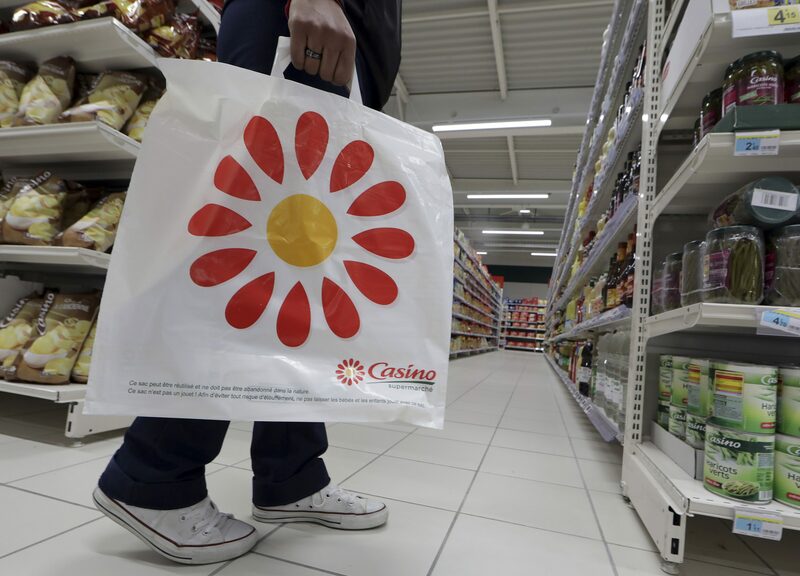 French supermarket Casino’s shares fell as much as 10 percent on Aug. 8 after analysts at Bernstein cut their target price to 26 euros from 35 euros. Bernstein said that investors should deduct 152 million euros from the company’s annual EBITDA figures to reflect the impact of related party transactions with franchisees. Casino said in June that it would sell 1.5 billion euros of assets to reduce borrowings after investors became concerned at the company’s high debt levels. Shares in Casino’s parent company Rallye were down 7.8 percent to 9.28 euros by 0857 GMT on Aug. 8. The cost of insuring against a default by Rallye has risen by around 600 basis points since the end of May, and more than doubled since the start of the year. The spread on the group’s five-year credit default swaps was 1623bp on Aug. 7, according to IHS Markit data on Eikon. Credit default swaps are contracts used to protect against the risk of a company defaulting, or to speculate on a change in its creditworthiness. Casino shares were down 9 percent to 31 euros at 0858 GMT on Aug. 8.